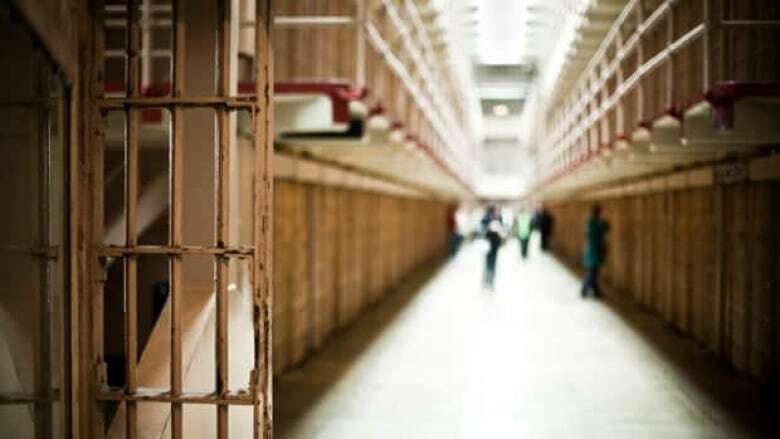 Canada's independent prisons ombudsman has launched an inquiry into a 50 per cent spike in the proportion of black offenders filling federal jails over the last 10 years. Howard Sapers, the federal correctional investigator, wants to study the possible causes behind the increase, which saw the proportion of black offenders in federal incarceration jump to 9.12 per cent in 2010-2011, from less than six per cent a decade earlier. It amounts to a 52 per cent leap, with the most dramatic increase occurring over the last five years. Black people make up roughly 2.5 per cent of Canada's population. More than 1,300 black offenders are currently serving time in federal penitentiaries — many of them in Ontario, where 20 per cent of the federal prison population is black. Canada's federal penitentiaries currently house 14,312 inmates. Saper will explore why the numbers have increased so rapidly. If there are gaps in the system that must be filled, such as a possible need to hire more visible minority staff, he hopes to identify them. "We've decided to commence an investigation into both the increase and to help us determine whether the CSC [Correctional Service of Canada] is meeting the needs of this population of offenders," Sapers told CBC News. "We'll be taking a look at how culturally appropriate programs are — whether or not the Correctional Service of Canada is living up to its legal responsibility to provide ethno-cultural services that are specific to meet the needs of this group." Sapers said it will be several months before his report is filed, but he already has theories. "We suspect that this is a population of offenders who are sentenced for the first time for longer periods of time, but are entering the institution at an age that is younger than the general population," he said. That means most of those black inmates will still be in their peak employment years by the time they get out of prison, said Moya Teklu, a policy research lawyer at the African Canadian Legal Clinic. "They're so young and they're locked away for so long," she said. "Those are formative years. Those are the years where you learn to become an adult, a contributing member of society. If they don't learn that in these institutions, then we're going to have a huge problem when they're released back into society." The disproportionate number of black convicts serving in federal prisons has long troubled Roger Rowe. The Toronto lawyer, who has been practising for more than 20 years, said little has changed since a 1995 report on systemic racism in Ontario's criminal justice system. "On any given day, you can step into any criminal court in Toronto and see a gross over-representation of black young males," Rowe said, adding that he feels the issue of an over-representation of black and aboriginal people has been studied to death. Rowe said tackling root societal causes would be key to solving the over-representation problem. "Very often, poverty is a factor. Disengagement from the school system is a factor. Racial profiling is a factor," Rowe said. A key question in Sapers' investigation is to learn what distinguishes black offenders from other inmates. Tazio Clarke, a Toronto social worker who mostly helps adolescent, high-risk and black offenders, said Sapers will likely find that the black prison population is young and in need of education. While the proportion of black prisoners in federal penitentiaries has increased, so too have the numbers for aboriginal offenders. The proportion of federally incarcerated aboriginal offenders jumped to 21.49 per cent in 2011 from 17.04 per cent a decade earlier — an increase of 26 per cent. However, the proportion of white inmates decreased by 13.9 per cent this year, dropping to 61.14 per cent of the prison population from 71 per cent in 2000-2001. "As soon as my youth come out, I'm setting up appointments for school meetings to advocate, to just get them into school," Clarke said. Clarke estimates that 80 per cent of the teens he sees behind bars are black. Many are caught in a cycle of criminality. "Lots of theft, assault, robbery, armed robbery to murder, attempted murder. So it's a vast range but the commonality is that it's repeated," he said. Without proper opportunities to learn and acquire skills or job prospects, Clarke foresees many of the youths he works with continuing to get locked up, boosting the numbers even further. "It takes a while as a worker to get used to that sight," Clarke said. "It's actually pretty traumatic, I would say." As for the latest statistics showing the spike in black inmate representation, Clarke was hardly surprised, adding that he only needs to scan the faces in a detention centre to draw an obvious conclusion. "Visually, I could see the reality to the stats," he said. "Like, what's going on here? Do they have specific jails for other cultures that I'm not visiting? Because I'm not seeing them."